Obituary for Zechariah J. Whitby | Robert L. Snyder Funeral Home and Crematory Inc.
Zechariah J. Whitby, (Delaware Twp.) Fredonia, Pa. passed away unexpectedly at 11:16 pm on Thursday, September 6, 2018 at the St. Elizabeth Health Center, Youngstown. He was 27. He was born in Erie, Pa. on June 5, 1991 a son of James M. and Mary (Cagnoli) Whitby. He was a 2010 graduate of the Commodore Perry High School, Hadley. Zech, as he was known to his family and friends was a gifted and talented artist and musician. 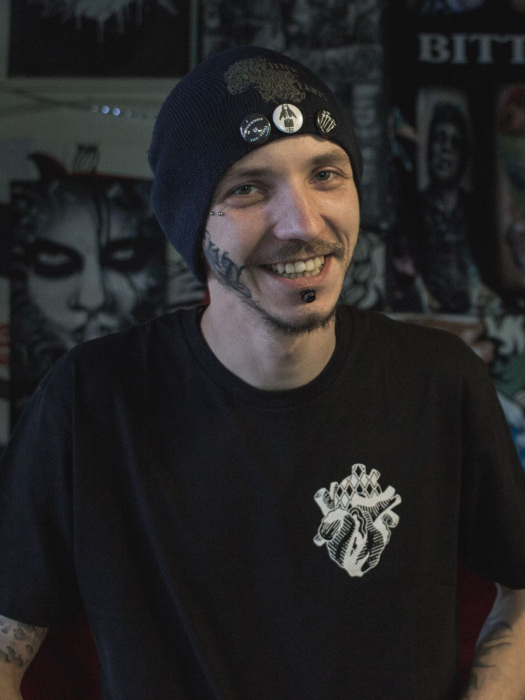 He was a freelance tattoo artist at Bitter Hearts Tattoos, Youngstown and had toured throughout the United States not only as a tattoo artist but also as a exceptionally gifted musician playing the guitar and singing. He enjoyed being able to write songs that reflected his life. He is survived by his father, James M. Whitby of Erie; his mother, Mary Donahue and her husband Ron of Fredonia; 2 sisters, Destiny R. Whitby of Youngstown and Makenzie Prosser ofySheakleyville; a brother Ian Simon of Youngstown; a step brother, Nathan Donahue of Jackson Center and a step sister Kalinn Donahue of Grove City. One niece, Elly Simon and four nephews, Brody Donahue, Remy Prosser, Ashtin Prosser and Tommy Donahue. He was preceded in death by his grandparents, Dominic and Dorothy Cagnoli and James and Terry Whitby. A time of gathering to honor the life of Zech will be held on Thursday, September 13, 2018 from 3:00 pm to 7:00 pm at the Robert L. Snyder Funeral Home and Crematory, Inc. 3223 Perry Hwy. Sheakleyville. Memories and condolences may be shared with the family online at www.snyderfh.com.